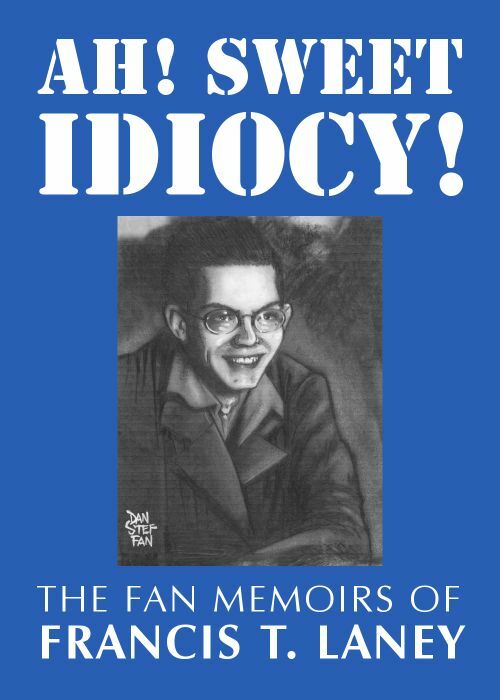 This infamous memoir and polemic about the 1940s Los Angeles fan scene was published in 1948. The first ebook edition was finalized and added to the TAFF site on 1 April 2019. Cover painting of Francis T. Laney by Dan Steffan (previously unpublished). 85,000 words of Laney plus 18,000 of additional material for a total of 103,000 words. David Langford has added brief notes on abbreviations never or only belatedly explained in the text; with help from Robert Lichtman, a summary of its reissues since Laney died; and from Rob Hansen’s photo archive, contemporary snapshots of Laney and many other featured fans (Rob has since posted a page of additional LASFS photos). Also included are Harry Warner Jr’s 1961 appraisal of Ah! Sweet Idiocy! and Alva Rogers’s 1963 rebuttal of the Laney thesis, “FTL & ASI”.